So here I am spending a day in Zagreb, Croatia’s capital city on my way to the Dalmatian Coast. It is late June and summer temperatures are starting to climb. I am staying at the Palmers Lodge Hostel where I am made to feel incredibly welcome by Antonio the receptionist. Zora is the Boss and is kind enough to spend time pouring over my map of Croatia with me as he explains all the must see places to visit along the coast. Both Antonio and Zora are visibly passionate about their country and I am swept up in their enthusiasm. As Zora describes his favourite places he becomes so excited that he admits he is getting goose bumps. His excitement is contagious and as I surreptitiously admire his Croat good looks I too have goose bumps! 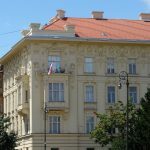 I arrived in Zagreb late last night from Hungary so Palmers Lodge was the ideal choice for accommodation, being only a few minutes’ walk from the main train station. 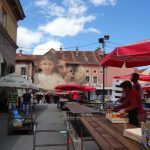 However today as I study my map I am delighted to discover that it is also in easy walking distance to all the city’s sights, so armed with map, camera and a bottle of water I head out to see as much of Zagreb as I can on this short one day stop. 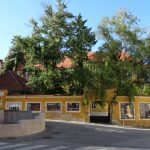 Zagreb is defined by the “Lower Town”, which is the most modern part of the city and the elevated “Upper Town”, where the medieval settlements of Kaptol and Gradec once stood and offers most of Zagreb’s historical sights and landmarks, so I make my way through modern Zagreb towards Upper Town. 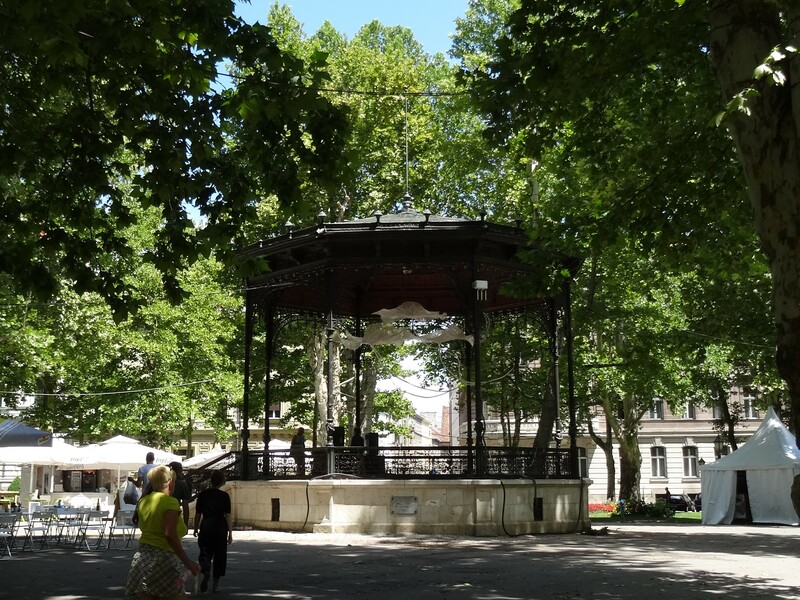 I am immediately taken by Zagreb’s attractiveness and enjoy strolling along Strossmayerov trg (square) as I take in its sights. 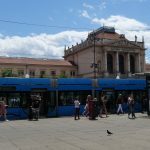 Stall holders offer ice cream, souvenirs and a mouth-watering range of foods as I pass through trg Nikole Subica Zrinskog towards trg Bana Jelačića, Zagreb’s main square; a hustle bustle of trams, tourists and businesses. 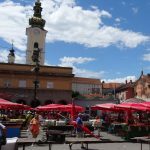 By the time I reach Dolac Market square the stall holders are already packing up their unsold fruit and vegetables, so I stop at a bakery on the edge of the square to buy something for lunch. 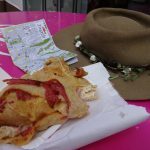 I am spoiled for choice as the range of savoury and sweet options is deliciously overwhelming and I struggle to choose, but eventually decide on a ham and cheese savoury which I take to a poseur table outside the bakery to eat while I stand and watch the market activities. 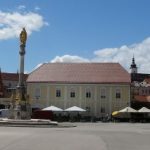 Later I make my way to Kaptol Square where the Cathedral of the Assumption of the Blessed Virgin Mary is having a facelift to one of its landmark spires. 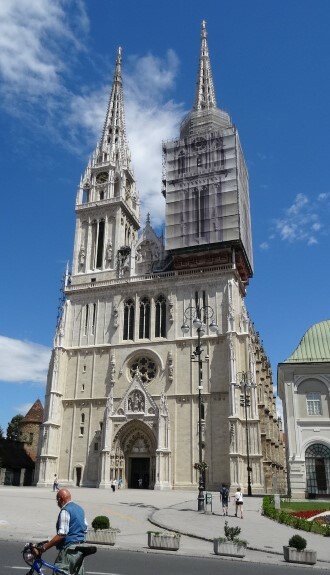 This Gothic beauty is Croatia’s tallest building and is proudly boasted to be the most monumental Gothic style sacral building southeast of the Alps. I am wandering aimlessly now and find myself in a strange little medieval tunnel which appears to be both a thoroughfare and a chapel with an elaborate ornate painting of the Virgin Mary with Baby Jesus as its focal point. It is delightful and after lighting a candle I sit for a while on one of the wooden pews and as I wonder at this lovely little place I reflect on life and think about my loved ones. The ambience is very peaceful and spiritual and I gain comfort from being here. 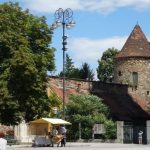 Later I discover that this is the Stone Gate which was the eastern gate to the medieval Gradec Town . It is said that the Stone Gate dates back to 1266 and in a city built mostly of wood, records report that the gate was damaged in at least four fires over the centuries. However it is the great fire of 1761 for which the Gate is most famous. According to legend it was extensively damaged in this fire but the painting of the Virgin Mary with Baby Jesus survived. 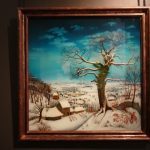 People believe the painting possesses magical powers and so, safely protected behind wrought iron gates, it has become a sacred oath site where people come to light a candle, pray and seek comfort. My next discovery is St Marks Church which dominates St Mark’s Square. 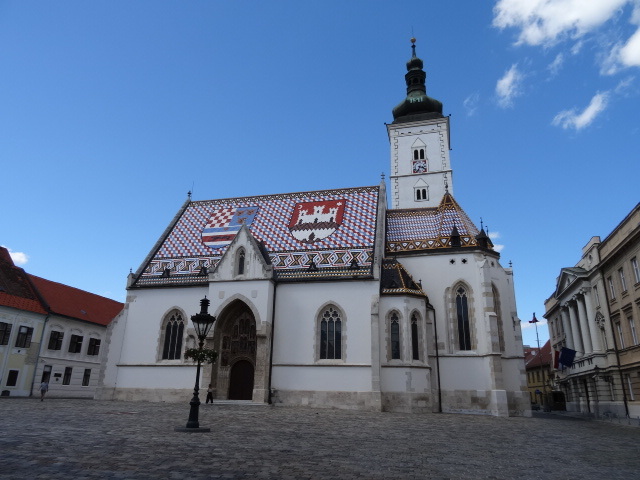 Built in the 13th century its colourful roof tiles has the medieval coat of arms of Croatia, Dalmatia and Slavonia on the left side and the emblem of Zagreb on the right, which gives it proud claim to being Zagreb’s most emblematic building. 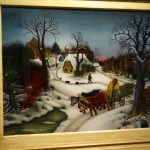 Now I am on my way to the Museum of Broken Relationships, but en-route I come across the Museum of Naïve Art housed on the first floor of the 18th century Raffay Palace and stop to admire the colourful and delightful collection of paintings. At last I arrive at the Museum of Broken Relationships and really don’t know what to expect as I pay my entrance fee with anticipation. The museum is in fact a collection of personal mementos, donated by individuals who have a story to tell about their item. Each item is displayed along with its story and I quietly move from item to item reading the story behind its significance. There are so many stories. Some are simply fond mementos of first love; others represent real pain and heartbreak, deceit and disappointment while more are reflective and quite sad. As I read the stories I relate them to my own relationships and am aware of long buried memories and emotions stirring. The museum is very popular with both women and men and it is obvious that they have come from all over the world to visit. 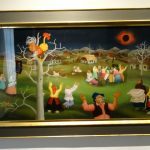 As I look around I see the contemplative expressions of the other visitors as they too connect with the stories. I recognise that in this place as we read together, we are bonded by our connection with the stories and despite our nationality or background we as a human race are at least united by our desire to love and be loved. In this moment it seems incredulous that there is so much warring in the world. 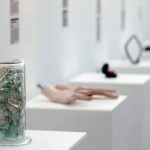 I enjoy my time at the Museum of Broken Relationships and agree with Lou that it is definitely worth visiting. It also has a lovely little café and a selection of interesting souvenirs for sale making it an ideal place to while away a couple of hours, especially on a rainy day. 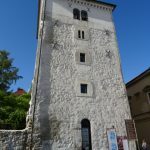 Near the Museum of Broken Relationships stands the Lotrščak Tower which was built in the 13th century to protect the southern city gate. 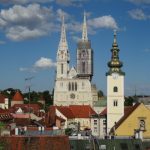 It can be reached by funicular railway and offers incredible views across the city while its cannon, fired at midday sends Zagreb’s many churches into wonderful bell tolling. Finally as late afternoon descends I make my way along Tkalčićeva, Zagreb’s restaurant and café area and find a street front table to settle for a while and enjoy a cold Croatian beer while I people watch. 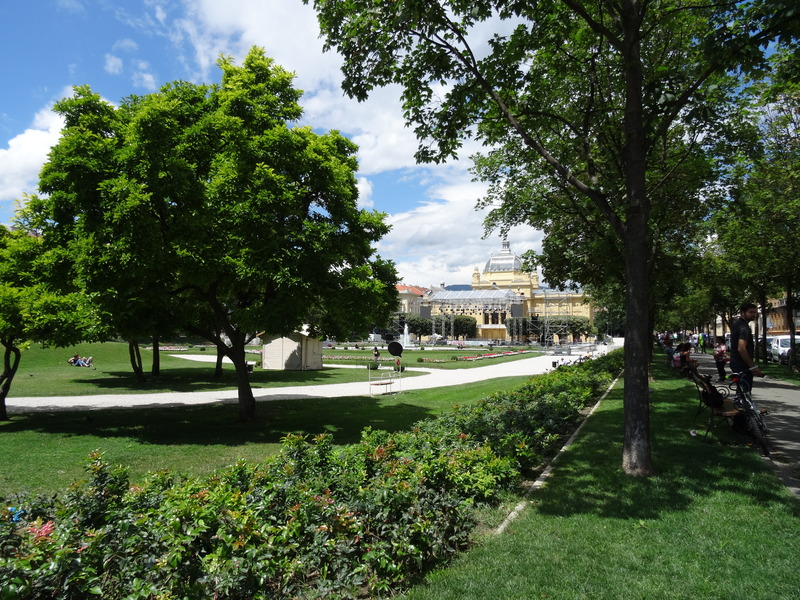 Zagreb is a delightful city with much to offer of which I know I’ve only seen a very small portion. 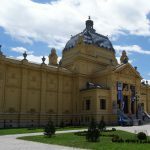 With flight connections from so many European countries, Zagreb would make a great short city break destination, in fact it is now one of Europe’s most popular Christmas Market destinations and it is also a great central hub for train and bus travel to all of its surrounding countries, making it a must see stop over for backpackers and travellers. To read more posts about Eastern Europe and Croatia search Eastern Europe in Categories. 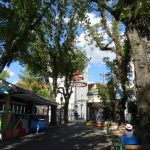 To find the great deals and best places to stay in Zagreb go to Booking.com or use the search box below. For great flight deals or packages go to Expedia.com or use the search box below. Check out fantastic Travel Accessories at Amazon .com or search for ideas below. ← Belize Barrier Reef – A Snorkeling Promise! 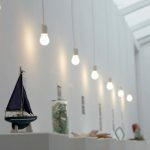 A lovely little post about a really unusual but fascinating museum. I hope that there could be a sister museum about really endearing relationships like the one featured in the book The Mapmaker’s wife. Thank you Annie. Yes, a lovely little place. I’m not familiar with The Mapmaker’s wife, but shall have to read it now! The name itself is so interesting. and I like the way you have given the title and then in the article mentioned it at the end of it. you very well know how to keep the reader in the article. Thank you so much Mitali. I’m still quite new to blogging so receiving positive and encouraging comments from such a seasoned traveller and writer as yourself means so much to me. Thank you again and happy travelling. The museum of broken relationship seems to be truly unique and as you say, yes it’s love the common denominator that keeps our world going. Will check it out when visiting Zagreb again. Haven’t been there for over 10 years! Lovely post. Thank you Michela I really appreciate your feedback and yes, well worth visiting. It’s also very encouraging to hear from such an experienced solo traveller and blogger. I have signed up to your blog and look forward to receiving your tips and news as I plan my next solo trip. What an interesting museum! I love the history behind the buildings you showed. Hi Brittany. Yes, a very interesting and pretty city which took me by surprise. 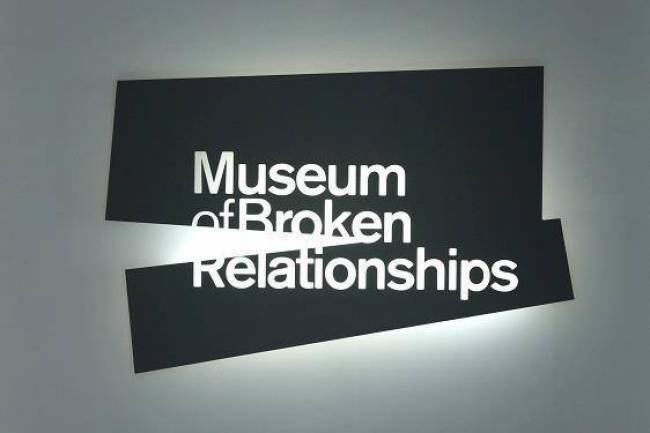 The museum of broken relationships sounds amazing. I love learning about why objects are significant to other people. Oh, that’s an intriguing museum! I like the concept. I’d love to visit such a museum if there was one closer to home. I think that could make a great blog concept too. I ended up speaking about relationships a few times during my travels. It’s funny how despite the cultural differences we often find similar stories! Hello Eloise. Yes, its a fascinating subject that we all have in common. Travelling certainly allows us to meet many people with their own unique stories. Thank you for taking the time to read my post and for your feedback. I truly appreciate it. 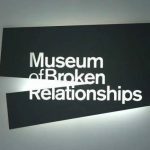 I’ve been wanting to check out the Museum of Broken Relationships for some time now. 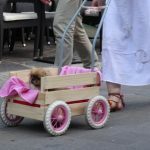 Your description of it only solidifies my desire to do so, and Zagreb seems like a charming city in general. Lovely post. Thank you Yvette. It is a lovely city and well worth a visit. The Museum of Broken Relationships is such a novelty! 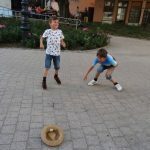 Who would have expected to find something like that in Zagreb? 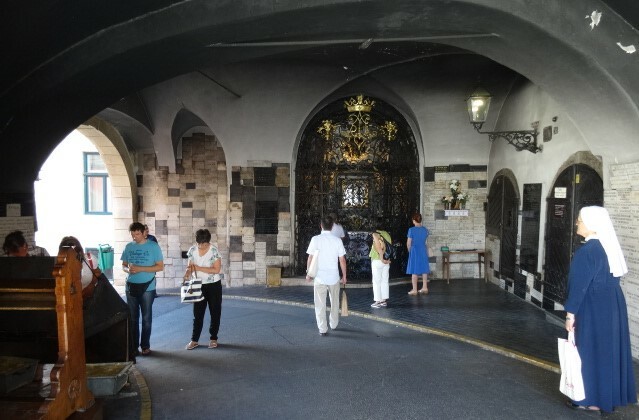 Of course, I would also like to see the Stone Gate and Cathedral Of The Assumption Of The Blessed Virgin Mary. Hi Linda, thank you for commenting. Yes Zagreb surprised me. It really is a great little city well worth seeing. Ah great inspiration. I’ve never been but I’m going to add it to my travel bucket list. Thank you for the tips! Thank you Josephine. Yes, Zagreb is definitely worth visiting.